Bone Health Essentials contains an optimal balance of the key minerals and supportive nutrients our bodies need most to maintain healthy bones and teeth. Our proprietary NutraTek™-enhanced mineral delivery technology combines each mineral with organic molecules – just like nature – to optimize absorption and distribution to body cells. This enables each mineral to be much more useful to the body than the common rock-form minerals used in most supplements. Many individuals take Bone Health Essentials to address concerns with osteoporosis, or in certain cases, to improve bowel function. 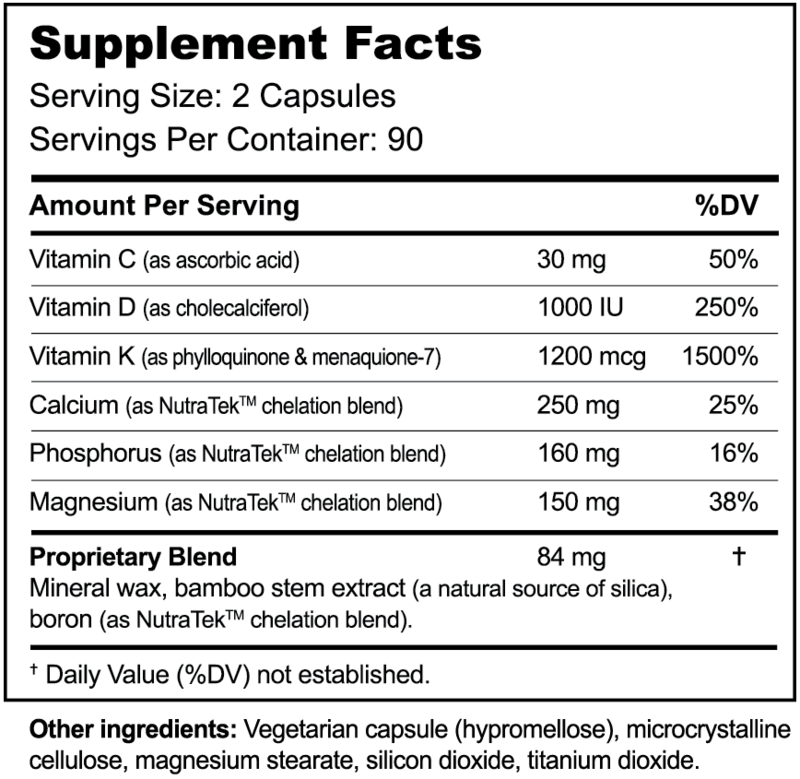 Take 1-2 capsules three times daily (between meals) or as recommended by a healthcare professional. At the recommended dose (6 capsules/day), one bottle of Bone Health Essentials will last approximately 30 days. Many customers take Bone Health Essentials to address concerns with osteoporosis, or in certain cases, to improve bowel function.